The union of Eastern artists in the Nigerian music industry is one which flies under the radar, at times. Phyno and Flavour have been the mainstream faces of this relationship and lately, others have begun to tap into it. One of those is Umu Obiligbo, a group that prides themselves on neo-Highlife music and their ability to mesh it with mainstream sounds. 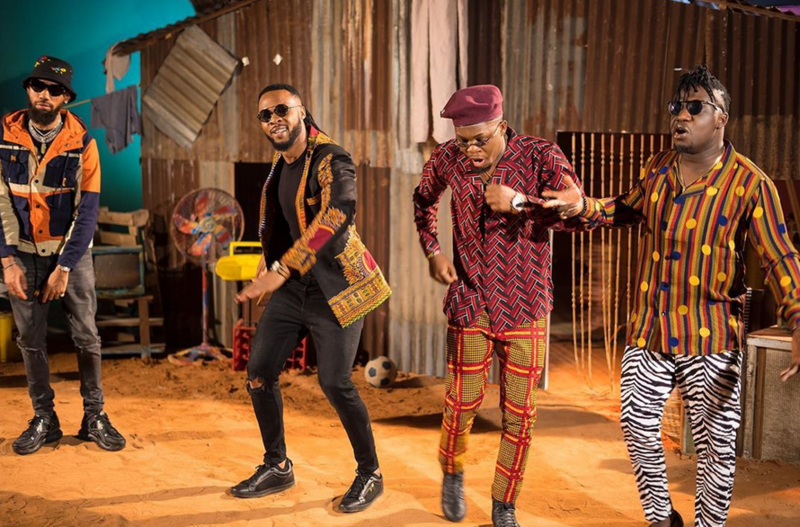 In their latest effort, they tap Phyno and Flavour and as a group, the quartet deliver premium igbo content with a track titled Culture that will shake grounds at events and even in the comfort of your home. Though largely articulated in their native dialect, the sprightly soundscape led by the Udu Drum relegates the significance of their lyrics brought to life in highlife inflected vocals powered by Flavour, the Umu Obiligbo group and gritty bars delivered by Phyno. The implication of collborations like Culture makes for an excitable future for mainstream eastern music in Nigeria and we can’t wait to see how it plays out.